Sam Alexanders finding it hard to cope with the fact that his dad is M.I.A. in the far reaches of space. Luckily, this Fathers Day, Novas got the chance to help former New Warrior Midnights Fire put his family back together. 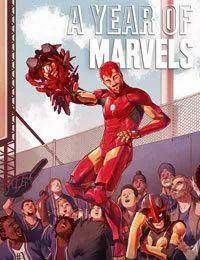 But when Iron Man shows up to inform his young teammate hes backing the wrong horse, will Nova cool his jets?